Hamsters are a great addition to any family and have the advantage over some of our other furry friends of having a relatively low impact on your home. With the multitude of hamster supplies available however, before you bring a new hamster home there are some important steps you need to take and the first of those is to prepare your hamster's own residence properly. There are two main factors which are likely to influence your choice of cage; the amount of space you have available and the size your hamster is likely to reach as an adult. As hamsters remain quite small animals they can be a space efficient choice of pet; however it is vital to allow enough room for your hamster to get sufficient exercise and to nest. You may opt for a traditional wire hamster cage, or one of the durable plastic houses. Both now come in multi-roomed options, with the plastic designs often incorporating use of colour as well as tube networks for your hamster to run around in. The most important consideration when choosing a residence for your hamster is safety and security. Make sure you select a well-made home which is free from sharp edges which your hamster could injure themself on. It is also vital to make sure the cage is secure so that they cannot escape as this is a popular hamster past-time. Choose a quiet spot for your hamster's dwelling, aim for a place where the temperature is likely to remain moderate and they are unlikely to disturb you at night. Although hamsters may be active during the day they are largely nocturnal animals and you won't want to be kept awake at night by the sound of hammy spinning in his wheel. Next, prepare the bedding for the cage. You should be able to find shredded paper style bedding in most pet stores which are usually the cheapest and safest option. 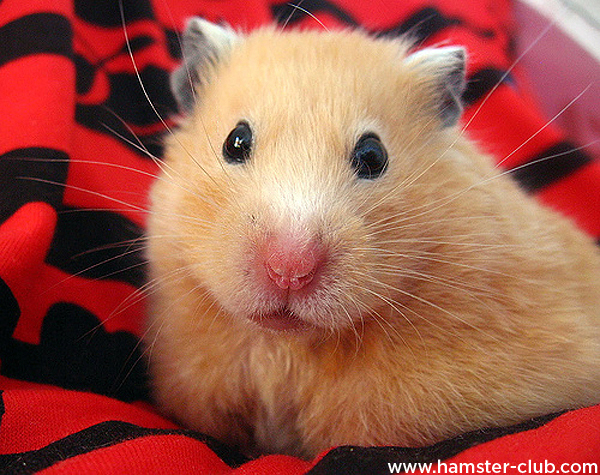 Never be tempted to use any bedding which is cotton-wool based, as this can be wind itself round your hamster's paws and be very dangerous. Spread a couple of inches of the bedding across the bottom of the main living area. The hamster will use this for nesting as well as to hide food in. Hamsters tend to select one area of their living space to use as a toilet. You will therefore need to clean this area every day and remove and replace any wet bedding. In addition you should give the cage and any toys inside it a full clean using disinfectant once each week. Finally, you are ready to kit out your hamster's home. As well as toys such as see-saws and tubes which will keep him amused and give him somewhere to hide, your pet will need access to clean food and water. You may choose to use dispensers fixed to the side of the cage for this, or alternatively opt to use bowls. Any bowls used should be shallow to stop your pet getting stuck in them and potentially drowning. It is also worth selecting ceramic or metal bowls so that once your hamster arrives they don't spend all of their time chewing on them instead of the toys you have chosen for them!